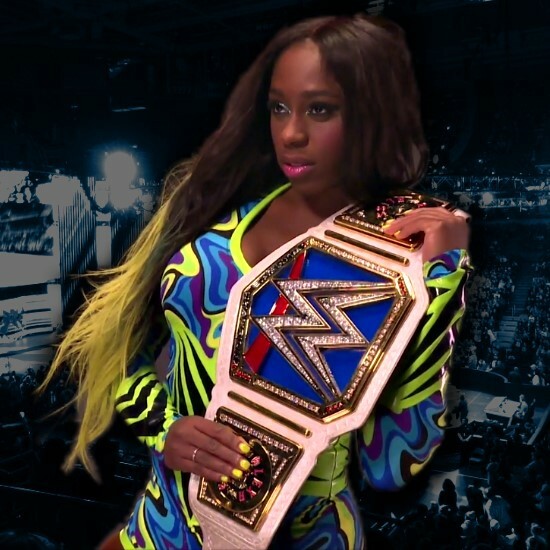 Billi Bhatti of Sportskeeda is reporting WWE has plans to keep Naomi as the Smackdown Women’s Champion for the rest of 2017. According to the report, WWE sees an opportunity to make replicas and market Naomi’s ‘glowing’ Smackdown Women’s Championship. She is currently scheduled to face Natalya this Sunday at Summerslam, with a program with Tamina to likely follow. On a related note, Bhatti is reporting the company is not very happy with Mattel right now, as the new ‘glow’ titles being produced are delayed, and may face a significant delay that pushes the availability past Christmas season. According to the report, the issues between the company and Mattel are due to Mattel taking several months to fulfill product orders, and cited delays in AJ Styles and Goldberg action figures as other instances in delays. WWE wanted a Styles figure closer to his debut due to fan demand, but Mattel did not produce one (WWE Elite series 47A) until October 2016. Additionally, WWE wanted a Goldberg figure for Wrestlemania season, but that one won’t ship until this October (as an exclusive Elite figure with the Mattel WWE RAW Real Scale Ring).